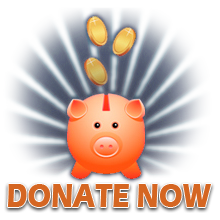 UPDATE 9:36 AM, 8/5: More links to news articles about this action have been added to the bottom of the page. UPDATE 5:49 pm, 7/31: US Oil Sands stock price dropped 13% on the day of our action according to the Toronto Stock Exchange website. UPDATE 4:34 am: Check out the article about our action published in the Vernal Express and all the rest of the news coverage of the action–now collected at the bottom of the page. UPDATE 6:57 pm: US Oil Sands shut down most of the day, road construction shut down all day & all with NO ARRESTS! 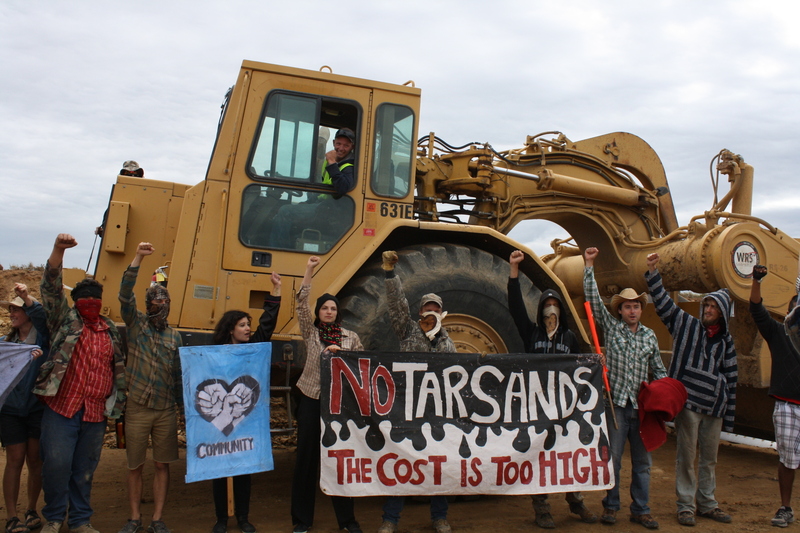 UPDATE: 5:15pm: Activists remain at the tar sands mine site and dozens continue to block Seep Ridge Road near PR Springs campground, preventing extraction industry traffic from passing. Three people had locked themselves to heavy machinery in order to prevent the progress of road construction, and it was determined that work was stopped for the rest of the day when workers had been sent home. 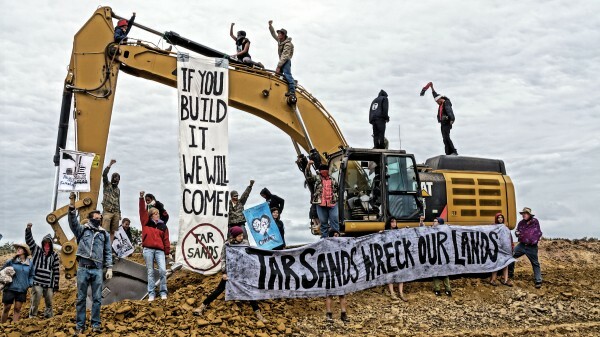 This is the first mass action against what is slated to be the first tar sands mine in the United States. One banner hung from a halted backhoe read “If you build its, we will come.” Uintah County Sheriffs responded, however no arrests were made. 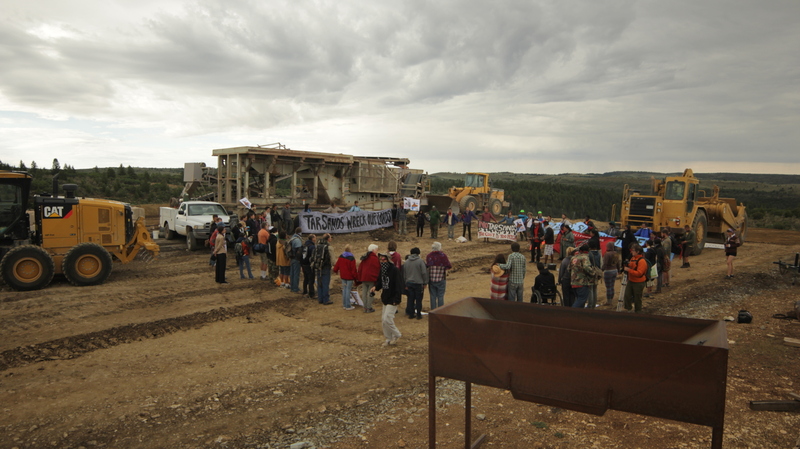 Bookcliffs Range, Utah–Dozens of individuals peacefully disrupted road construction and stopped operations today at the site of a proposed tar sands mine in the Bookcliffs range of southeastern Utah. Earlier this morning, Utahns joined members of indigenous tribes from the Four Corners region and allies from across the country for a water ceremony inside the mine site on the East Tavaputs Plateau. 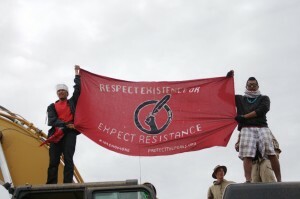 Following the ceremony, a group continued to stop work at the mine site while others halted road construction, surrounding heavy machinery with banners reading “Respect Existence or Expect Existence” and “Tar Sands Wrecks Lands”. “The proposed tar sands and oil shale mines in Utah threaten nearly 40 million people who rely on the precious Colorado River System for their life and livelihood,” said Emily Stock, a seventh generation Utahn from Grand County, and organizer with Canyon Country Rising Tide. 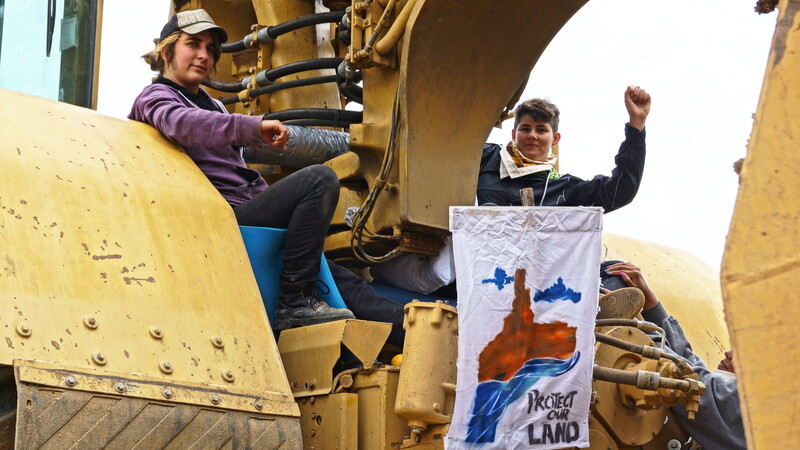 “The devastating consequence of dirty energy extraction knows no borders, and we stand together to protect and defend the rights of all communities, human and non-human,” Stock said. Monday’s events are the culmination of a weeklong Canyon Country Action Camp, where people from the Colorado Plateau and across the nation gathered to share skills in civil disobedience and nonviolent direct action. Utah’s action training camp and today’s action are affiliated with both Fearless Summer and Summer Heat, two networks coordinating solidarity actions against the fossil fuel industry’s dirty energy extraction during the hottest weeks of the year. 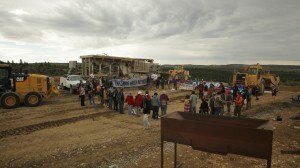 “Impacted communities are banding together to stop Utah’s development of tar sands and oil shale. We stand in solidarity because we know that marginalized communities at points of extraction, transportation, and refining will suffer the most from climate change and dirty energy extraction,” said Camila Apaza-Mamani, who grew up in Utah. Lock-downs in combination with mobile blockades were used to enforce a full-day work stoppage at Seep Ridge Road. US Oil Sands, a Canadian corporation, has received all the required regulatory permits to mine for tar sands in the region, and could scale up operations within a year. Although preliminary work has already begun, the company still lacks the necessary investment capital for the project. Today’s actions and lawsuits filed last week pose new challenges to the company’s plans, and those of other corporations exploring tar sands and oil shale plays on the Colorado Plateau, such as Red Leaf Resources and Enefit. The region is known for its remote high desert land, vital groundwater resources, diversity of wildlife and sites sacred to regional indigenous people. Tar sands operations requires intensive water and energy for mining and refining processes, and Utah’s strip mining operations would likely yield only low grade diesel fuel. Additionally, rural communities like Green River, Utah face the risk of new refinery proposals to process tar sands and oil shale, electricity generating stations and even a nuclear power plant. “The networks of groups and individuals taking action today in Utah have come together in an alliance that is historically unprecedented for this region. We join with others around the world, forming a coordinated response to these threats to our air, water, land, communities and to the larger climate impacts of this dirty energy development model,” said Lauren Wood, a seventh generation Utahn and third generation Green River outfitter. Utah’s School Institutional Trust Lands Administration (SITLA), the agency leasing the land for tar sands mining to US Oil Sands, is tasked with administering state lands for the benefit of public institutions such as schools. “Tar sands strip mining would be worst thing for the state, this country and the world. Although SITLA professes to care about the children, it consistently puts short term economic gain over the long term health of the very children it professes to benefit,” says Stock. “There are no jobs on a dead planet. We need heroes not puppets of corporate interest who steal from current and future generations to line the pockets of a greedy few, at the expense of our communities and our environment,” said Stock. Groups have vowed to continue their efforts to protect the Colorado River System and are planning future demonstrations and actions to stop the tar sands strip mining and other “dirty energy projects” across the region. 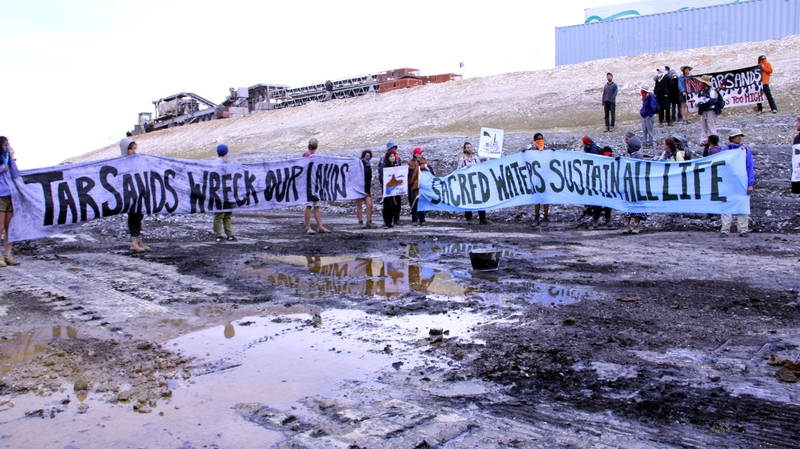 People stopped work at the Seep Ridge Road public highway project, which is intended to accelerate destruction of the East Tavaputs Plateau for extreme extraction projects, including tar sands strip mining.